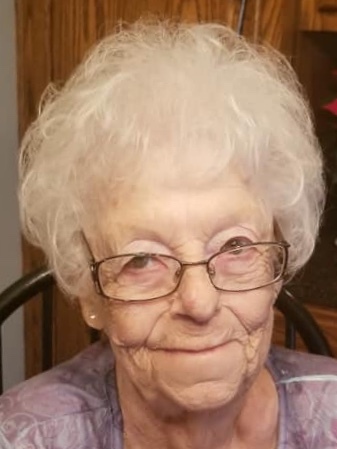 Alene Edna (Fennell) Crouch, 84, of Worthington, passed away Sunday, February 10, 2019 at VNA Inpatient Hospice in Butler. She was born June 17, 1934 in Fenelton, Pa, a daughter of the late Clyde Abraham and Edna Mae (Miller) Fennell. Alene formerly worked as a cook at Sugarcreek Rest Home and as a seamstress at Bobbi Brooks for many years. She attended Craigsville United Methodist Church. She enjoyed playing bingo and scratch-off lottery tickets, and most of all, she loved spending time with her grandchildren and family. Left behind to cherish her memory is her daughter, Linda Gaiser, of Butler; sister, Martha Geibel, of Butler; grandsons, Scott (Mary Jo) Gaiser, of Worthington, Chris (Allison) Gaiser, of Kittanning, and Cory (Amanda) Gaiser, of Washington, Pa; great-grandchildren, Andrew, Ryan, Isabella, Amylia, Nathan, and Natalie; and numerous nieces and nephews. In addition to her parents, she was preceded in death by her husband, Milton G. Crouch; son-in-law, Jerry Gaiser; brothers, Ray, Robert, and Clyde Jr.; sisters, Violet, Esther, and Shirley; and her brothers-in-law and sisters-in-law. Friends will be received from 2-4 p.m. and 7-9 p.m. on Tuesday, February 12, 2019 at the F. Duane Snyder Funeral Home, 119 Bear St., Worthington, Pa. Additional visitation will be held on Wednesday at the funeral home from 10 a.m. until time of funeral service at 11 a.m., with Rev. Michael B. Coats officiating. Interment will be in Worthington Evangelical Lutheran Cemetery.